This book provides invaluable discussion on instrument airmanship, weather analysis, flight planning and decision making, handling equipment glitches, partial-panel flying, and much more. 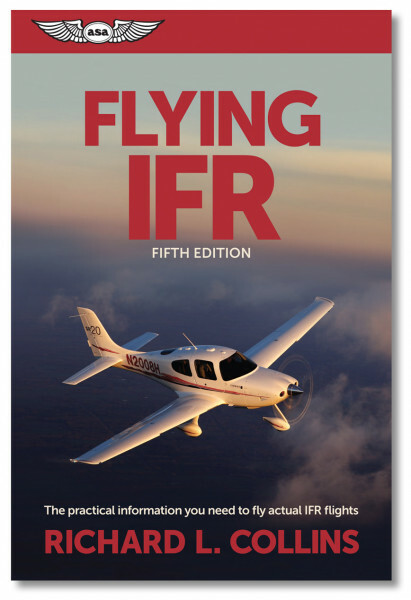 Author Richard Collins shares his experience in this guide to the real world of instrument flight, detailing the IFR system, equipment, and exploring the risks and rewards of instrument flying. The invaluable discussions on instrument airmanship, weather analysis, flight planning and decision making, handling equipment glitches, and that critical survival skill — partial panel flying — are all presented for the sole objective of better preparing you to fly on IFR flight plans.